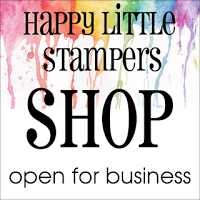 Hi, all you happy little stampers! Another month gone and another upon us already! 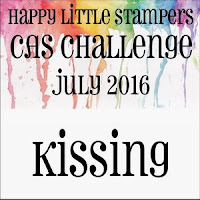 That means it's time for another challenge over at the Happy Little Stampers CAS challenge blog, and this month it is for 'Kissing', no, no, not the smoochy, mmwah, mmwah kind, stay tuned and I'll explain all. Before I show you the card and explain the technique, let me just tell you that Happy Little Stampers are sponsoring this challenge, so there are prizes to be had! Now, my card. 'Kissing' as used in the stamping world refers to inking one stamp and then touching it face to face with another stamp . . . hence, kissing. I will explain the technique and the supplies used here. First, I chose my two stamps for the technique, this was a My Favorite Things 'Cheesecloth' background stamp for the texture and a very old rubber stamp that I have had for years (of course, I can't remember who it was by, I didn't need to know in the days prior to my blogging). Next, I inked up the image stamp in a light coloured ink, which in this case was Altenew Crisp ink in 'Buttercream' and then, I took the background texture stamp and inked it up in Altenew's, 'Caramel Toffee' . . . after using those two, I longed for something sweet, but I digress. I touched the faces of the two stamps together and then stamped (the now textured image) on to a piece of white card-stock. This technique can also be used by inking one stamp, but not the other, so that when the two stamps are pressed together, the un-inked one takes off some of the ink from the other one, which gives you a different effect - try both - you might like one better than the other, but I like both. I found that if I used the second technique it was better to use the darker ink, because a lighter one is a little too subtle to notice, but you might like that effect! Then I mounted that panel on to a panel of black card-stock, because I wanted to stamp the sentiment in black and needed to tie that in. The sentiment was from the Happy Little Stampers, 'Birthday Friends' set, which you can find here. Click on image. Then. I mounted the whole thing on to a cream coloured card-stock to coordinate with my chosen ink colours. This is a really simple technique that is a lot of fun, so what are you hanging around here for, get over to HLS, have a look at the other team members inspiration and watch some of the videos demonstrating the technique and join in fun with us! 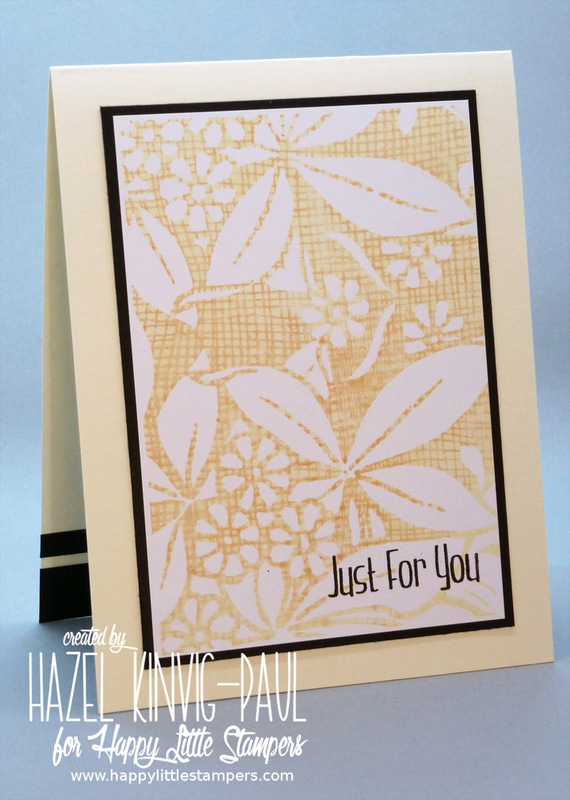 love your color combo Hazel - and such a great background for that flower stamp! happy weekend! I really like the look of this kissing technique. I'll have to look at my BG stamps to see if there are a couple I could use for this technique. Gorgeous card Hazel, love it. Love the soft delicate color too. Hugs. I hope that you will have a quiet week. Oh, the stamps you used are so perfect for the kissing technique, Hasel!!!! 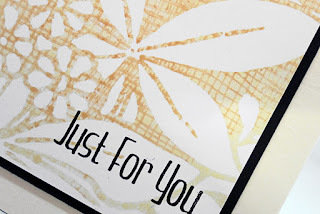 Your stamping really looks great!!! The colours you have worked with are so beautiful and the thin black frame really have your panel stand out so wonderfully!!!! Very creatively done, my friend!!! Stunning!!! What a wonderful "kissed" card, Hazel! Love these neutrals! OMG!!! Hazel, this is awesome! 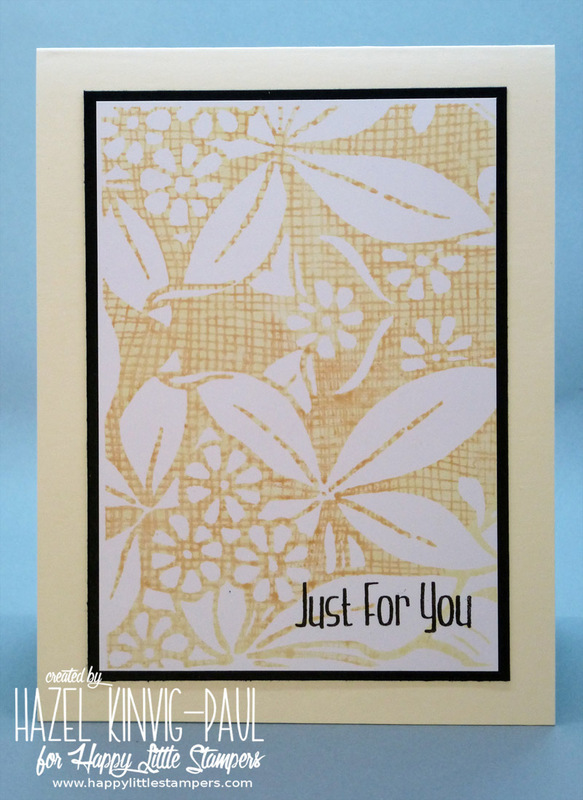 Soft sweet color on the background and black touch - love this beautiful card. I love this technique, and this is a fabulous example of it. Thank you for sharing the details.